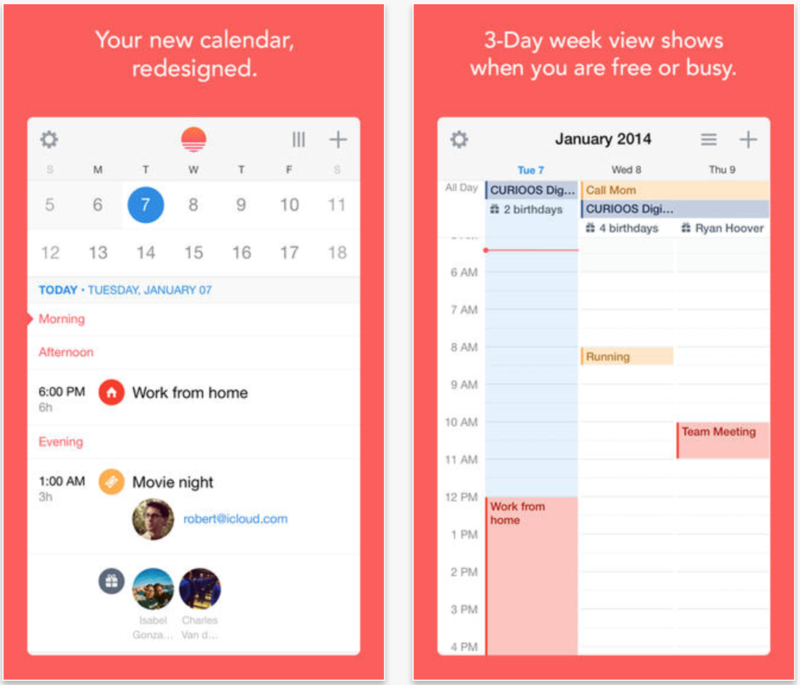 Sunrise Calendar, my favorite iOS calendar application, has just received an update adding support for Apple’s iOS 8. Among the changes made in Sunrise Calendar’s 2.6 release is support for enhanced notifications. 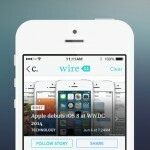 The new notification feature (an iOS 8-only addition) allows users to RSVP to an invitation by swiping down on the banner notification directly. 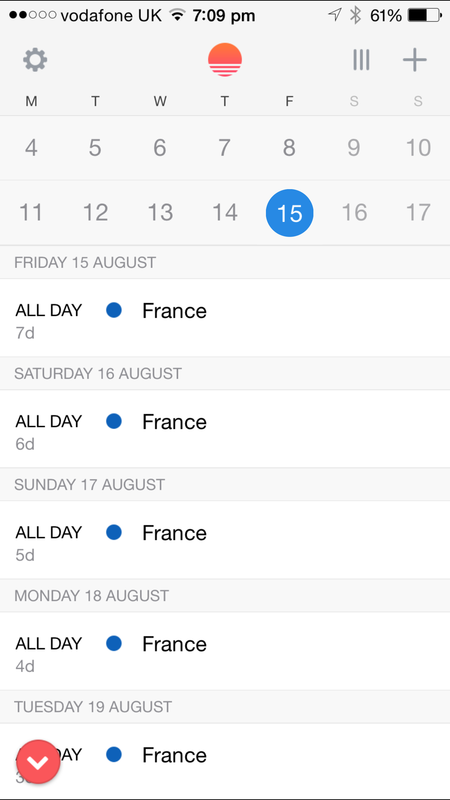 Trello support, on the other hand, allows iOS device owners to see all cards with due dates from inside the app. If you’re running an iPhone 6 or iPhone 6 Plus handset, however, you’ll be disappointed to see that Sunrise Calendar 2.6 isn’t optimized for Apple’s bigger handsets. The good news on this front, though, is that the developer has confirmed support for the larger devices, and notes that optimization is “coming soon.” Here’s hoping “soon” isn’t too far away. Sunrise Calendar running on an iPhone 6 Plus. 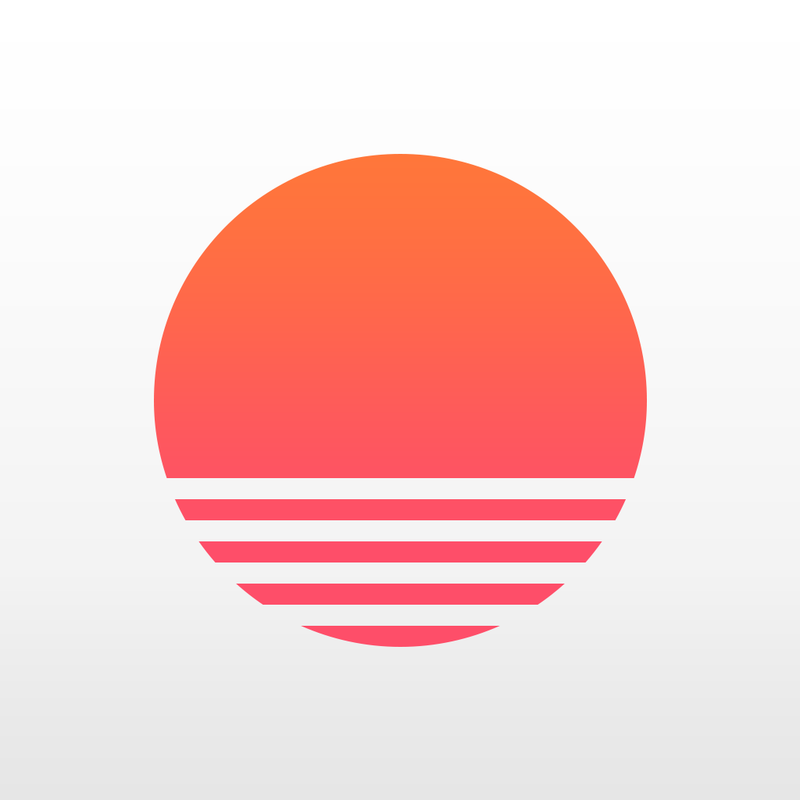 Welcome to Sunrise for iOS8! We’ve been working hard over the summer to take advantage of the greatest new iOS features to make your life a little easier. You can now RSVP to invitation notifications by swiping on the notification directly. No need to open Sunrise to respond to a meeting invitation. Just swipe the notification and you’re done! This is currently only available for Google Calendar users. By popular demand, we’ve added Trello support. You can now see all the cards with a due date in Sunrise. There is also an option to filter for cards that are assigned to you. You can download Sunrise Calendar free of charge on the App Store, and it’s optimized for the iPhone, iPad, and iPod touch. 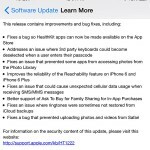 Check out the updated app, or see: Check out the best games for your new iPhone 6 or iPhone 6 Plus, Update: Apple’s iOS 8.0.1 seems to be causing major issues for some users, and You might not be able to get your new Apple Watch for awhile.